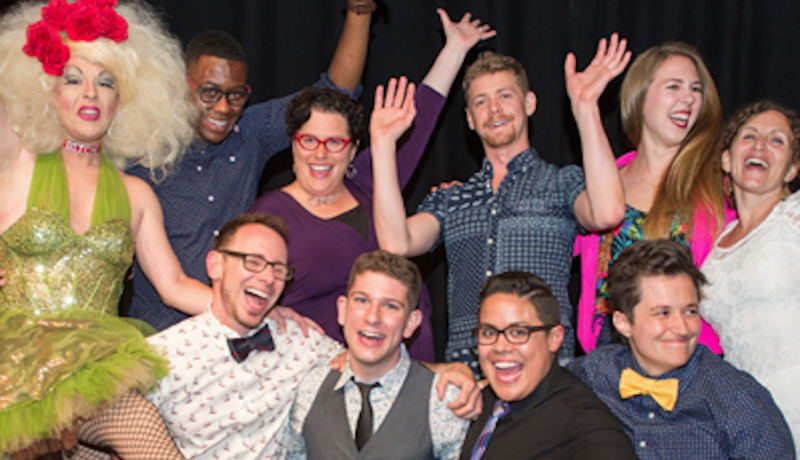 By Bryan Buttler·	 9/14/2015, 1:00 p.m.
Philadelphia’s First Person Arts has always been extremely LGBT friendly, and this year, their huge annual festival is proving that the storytelling organization has a dedication to empowering voices in the community. The 14th Annual First Person Arts Festival, which rolls into town starting November 4, will feature an entire assortment of entertainment for nearly two weeks, ranging from storytelling workshops to culinary excursions. However, there are several LGBTQ offerings that are highlights of the 12-day celebration. The Philadelphia premiere of David Crabb’s Bad Kid features out storyteller David Crabb who tells the story of “a Goth boy who dreamed of being anywhere but the middle of Texas in 1991—preferably somewhere in London wearing fishnet gloves and a cap while standing alone in the rain.” The humorous and touching performance will play Christ Church Neighborhood House on Friday, November 13th. Also on tap is the Philly premiere of Out/Spoken, a series of LGBTQ tales from the Story District. The performance is described as a “night of true tales celebrating the diverse perspectives of the LGBTQ community and embracing the challenges and trumps of being queer, questioning, and proud.” Also at the Christ Church Neighborhood House, the show is scheduled for Sunday, November 15th. For more information on the festival, or to purchase tickets, visit this link.